One of the world's leading geneticists, J. Craig Venter, Ph.D., has innovated and infuriated in equal measure. He may be best known for being the first person to sequence his own genome, back in 2001, but his accomplishments in genomics reach far and wide—often with controversy attached. Leaving Newport, Calif., and the Southern California surfing scene, Dr. Venter enlisted for a tour of duty in the U.S. Navy during the Vietnam War. Detecting more intelligence in him than his high school record indicated, the Navy trained him as a medical corpsman and assigned him to the Da Nang hospital. "I was there during the Tet offensive," he said. "I got introduced to medicine in probably the toughest way possible. I just got fascinated with the lack of knowledge we had and had a desire to do something more." After finishing his tour — which included two stints in the brig for disobeying orders — Dr. Venter went to the University of California, San Diego to become a doctor. He was deflected from that path by a class with Gordon Sato and a project with Nate Kaplan. "I got so fascinated with science," he said, "I decided to heck with medical school." Venter breezed through his undergraduate and graduate schooling in six years, worked at the State University of New York, Buffalo, and was recruited to the National Institutes of Health (NIH) in 1984. There, he developed express sequence tags, which revolutionized rapid gene discovery. Dr. Venter began the race to sequence the human genome when he unexpectedly announced to a room full of genome researchers that they could just quit now, thank you, because his company would finish the job. People who like him say he never filters his thoughts and he shoots from the hip. In 1998, Dr. Venter founded Celera Genomics to use private funds to sequence the human genome using the expressed sequence tags and shotgun sequencing. Dr. Venter managed, in three years, to achieve his goal. Dr. Venter is acknowledged, along with geneticist Francis Collins, M.D., Ph.D., now director of the NIH, as being a primary force behind the Human Genome Project. Dr. Venter, with private funding, and Dr. Collins, with public funding, independently mapped and sequenced human DNA. Efforts to bring Drs. Collins and Venter together to complete the mapping of the human genome began in late 1999. In March 2000, President Bill Clinton and British Prime Minister Tony Blair made a joint declaration that all genome information should be free to the public. This announcement led to cooperation between Drs. Collins and Venter, and on June 26, 2000, they jointly announced that, after nearly a decade of work, both the public Human Genome Project headed by Dr. Collins and Celera Genomics headed by Dr. Venter had deciphered essentially all the genes in human DNA. Their reports appeared in 2001 (one in Nature and the other in Science). Dr. Venter is founder, chairman and CEO of the J Craig Venter Institute, which is working on artificial life-forms with functions such as producing biofuels. In May 2010, his team synthesized the genome of the bacterium Mycoplasma capricolum. Dr. Venter grabbed the attention of headline writers and scientists around the world by announcing what he calls the "world's first synthetic life.” He took a synthetic bacterial genome constructed from chemicals in the laboratory and, as Dr. Venter puts it, “booted it up” by inserting it into a living single-celled bacterium. The cell replicated itself into a colony of organisms containing only the synthetic DNA. Dr. Venter thinks that with the 2010 announcement he finally answered the question posed by physicist Erwin Schrödinger in his 1944 book, What is Life? “Life is a DNA software system,” says Venter. All living things are solely reducible to DNA and the cellular apparatus it uses to run on. The DNA software both creates and directs the more visible "hardware" of life such as proteins and cells. 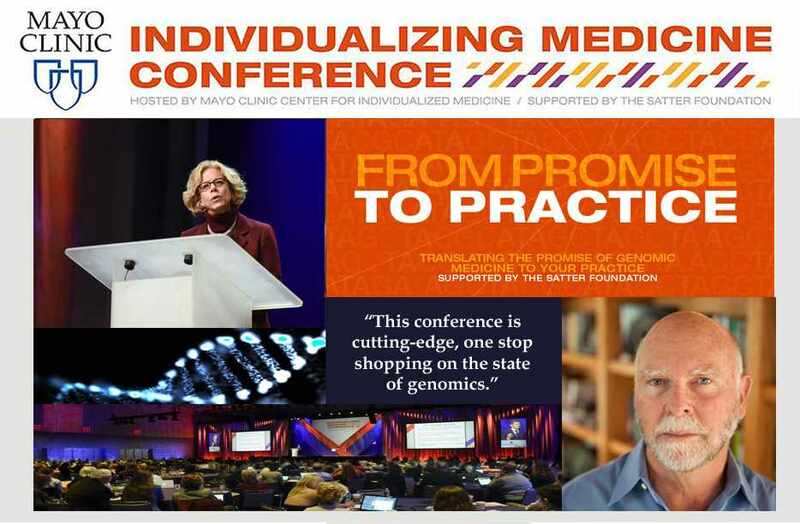 Since Dr. Venter won’t be beaming to a location near you anytime soon, you will have to come join us at the Individualizing Medicine Conference 2015: From Promise to Practice, where Dr. Venter will be a featured keynote speaker. The conference will be held in Rochester, Minn., home of Mayo Clinic and the Center for Individualized Medicine on Sept. 20–23. For more than two decades, Dr. Venter’s research teams have worked to pursue answers in the biological sciences. 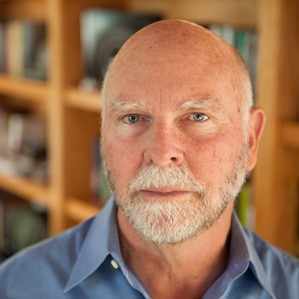 Dr. Venter is the co-founder, executive chairman and CEO of Human Longevity Inc. In 2001, he was awarded the Paul Ehrlich and Ludwig Darmstaedter Prize, as well as the King Faisal International Award for Science. He received the Gairdner Foundation International Award in 2002. In 2008, he received the U.S. National Medal of Science, and, in 2010 he constructed the first synthetic, self-replicating bacterial cell. Dr. Venter is a member of the National Academy of Sciences and the American Society for Microbiology. You're encouraged to attend and interact with renowned scientists, researchers and clinicians in the emerging field of individualized medicine. Discover the latest research, technology and medical approaches to precision medicine and genomics applicable to your daily work. View all conference speakers, and register today. To preview what you might hear at the Individualizing Medicine Conference 2015 from Dr. Venter, read the interviews with him in MIT Technology Review and Wired.